CCTV (Closed Circuit TV) uses one or more video cameras to transmit video and sometimes audio images to a monitor, set of monitors, or video recorder. The difference between CCTV and standard TV is that standard TV openly broadcasts signals to the public. CCTV is not openly transmitted to the public. CCTV uses either wireless or wired transmission to send the broadcast from the video cameras to the monitor(s) or recording device. Most CCTV systems are used for surveillance, which can include security monitoring, spying, or safety monitoring. There are many types of CCTV cameras. They can be categorized by the types of images they are able to capture, the amount of frames they can take per minute, the type of connection to the monitor or video recording device, whether they are able to move position, and special functions they can provide. Types of Images: CCTV cameras generally take both black and white or color video images. In addition, many CCTV cameras even have night vision capabilities that allow a CCTV camera to view and record low light images using special technology. Frames per Second: Frames per second is the amount of full frames that a video camera captures and sends to a recording device or monitor per second. While most CCTV camera systems easily capture 30 or more frames per second (30 fps is considered real time), the amount of video tape or digital storage would be enormous to record every moment of everyday. For most stores, speeds of 1 to 6 frames per second are more than enough to catch and record a perpetrator committing a crime. Pan Tilt Zoom (PTZ) Cameras: These types of CCTV cameras allow a person controlling the surveillance of an area to move the camera remotely, usually with an RF or wired controller. Most movable cameras allow the person monitoring it to move the camera from right to left (pan), up and down (tilt), and from a tight angle to a wide angle (close up zoom). Cameras with Special Accessories: Certain CCTV cameras have special functions that are made for specialty uses. For instance, there are extremely small surveillance cameras that are used for spying (Nanny Cams), night viewing, are vandal resistant, and that are specifically made for indoor or outdoor uses. 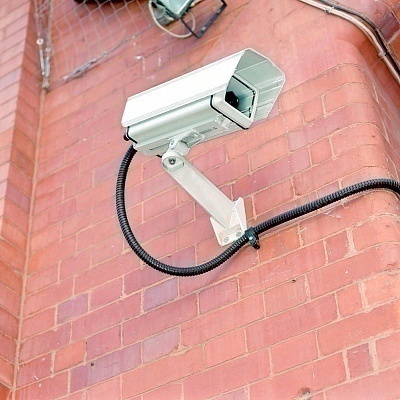 There are two main types of connections for CCTV cameras: a fixed cable or a wireless connection. Most wireless CCTV cameras use the 2.4 Gigahertz frequencies to transmit their video images to a monitor or DVR (digital video recorder). Usually, frequencies can be slightly changed to have more than one group of cameras in a specific space. Wireless CCTV cameras that use this frequency can easily transmit through most walls and obstacles. However, each individual location will have its own operating limits. Expect most wireless CCTV cameras to send data to a range of about 200 feet. However, many will more likely work well when transmitting less than 150 feet. A clear line of sight transmission will always work best. Obviously a wireless connection allows greater freedom to place CCTV cameras almost anywhere. While wireless CCTV cameras transmit their video images to a digital video recorder or monitor, many of these types of cameras must be plugged into an electrical outlet. There are, however, some CCTV cameras that are battery operated. There are two main ways to record video images that CCTV cameras capture. They are analog tape and digital video recorders. Most analog video recorders use VCR tapes or standard VCRs to record the images or special security time-lapse VCRs to record images for a longer period of time. A tape recorder such as a security-time lapse VCR can record CCTV camera images in either black and white or color for 2,4, 6, 8, all the way up to 960 hours, which is 40 complete days. The determining factor is how many frames per second users intend to record and how many cameras are hooked up to the VCR for recording. For instance, if a user records 30 frames per second (real time video), he/she will only be able to get a few hours of video captured on the recorder. If users record one frame per second or less, they can record for dozens of hours before the video tape is full. VCRs are very practical, very reliable, and extremely affordable. Expect to pay only a few hundred dollars for a security VCR. There are two types of DVRs (Digital Video Recorders). They are either stand alone devices or hard drives that are connected to a computer system. DVRs work similar to VCRs, but the images they capture from the CCTV camera is digital. The amount of digital images captured on a DVR is determined by a few factors including the frames per second recorded, the amount of cameras hooked up to the DVR device, the resolution that the DVR saves the images at, and the video compression used (e.g. MPEG4). For a common set up, where 4 cameras are shooting at 30 fps and an image resolution of 320 X 240 is being used, each camera only records when motion is on, and MPEG4 compression is used, users should be able fill up a 20 to 25 GB hard drive in about 80 hours. Possible for Imaging programmable, before those FULL image transfer to Monitor (or Video device), means like Top View and Bottom View of Image are covered Up, the main reason is privacy does not ant to show on the Monitor. If yes, how to configure it..
Hi moved in to current home has camera front and back there are a load of cables in one of my bedrooms yellow black I think I just need a recorder ??? Not got a clue ?? can a camera jumps in time by itself and does that means that the CCTv Footage was manipulated ! It has jumped with 10 minutes and it happened only once in a very important specific moment !! I am no expert but it sounds to me like the video time has been manipulated. I was going through something similar just today that’s why I know it usually means it’s been tampered with. We have requested CCTV footage for a court hearing. The owners of the CCTV system have said it’s not available as the back up disc was not formatted correctly! Is this possible? after cutting off main supply by how much time cctv can work? how can i lost previous footage of my cctv camera? how does a cctv camera work whats got audio? Hi, can i buy very small secret cameras which i can only watch trough a phone every where? Hi there, I have a 4 camera setup to cover my store and it records on a hdd which, when full, wipes off and record on it again. Also,, I can watch it live anywhere in the world from my comp or smartphone. Is there a possibility of recording voice along with video as well? Sorry, am no tech guy to know how these gadgets work. 1) CCTV Camera has an inbuilt mic or additional mic is attached. 2) Sound Cable is passed from Camera to DVR. 3) DVR has audio Inputs and Output. Hope the above solves your query. 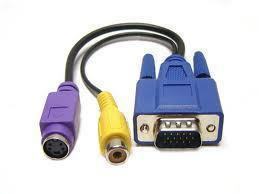 Yes you can unplug the tv as far as you are not unplugging the DVR system,the recording should work fine. I lately happen to buy a 4 viewer Net Dvr of Zicom. I am able to get a view on my Internet explorer but would also like to know if there is any way I can view the same on my phone? I am using an iPhone 4G. I think you should ask the DVR supplier whether their DVR support iphone, if it support, there may have a mobile software, you can download the software into your phone, then use the DVR ip address, you can see via your phone. Hope it healful for you. Shenzhen Giakos Techonology Co. LTd.
You may ask your DVR Supplier for the Software. As far as I know mobile software for I fone 4 is not yet out so you might have to wait. Another option is that you may change your DVR if that is possible so that you can view your cameras through the phone browser. Everfocus is one Brand that supports live view through the Phone Browser. I HAVE THE CLOVER DVR CAMERA SYSTEM. MY EX IS ENTERING MY HOME WITHOUT BEING SEEN ON CAMERA. I WAS TOLD BY A RELIABLE SOURCE THAT HE IS USING A RF JAMMER ON MY CAMERA SYSTEM AAND ALARM SYSTEM. IS THIS POSSIBLE? IF I GOT CCTV CAMERAS WOULD HE STILL BE ABLE TO USE THE RF JAMMER. sir , i want tranfer 16 cmaera’s from one building to my ofiice in about 2500 feet away , how to use cable andwhich cable is suitable – ? In security automation systems(SAMS) how the IP Camera,Smart card reader,video surveilliance transmitter,cctv systems could be connected to the network video recorder(NVR) and what are the components to be intrgrated for this SAMS functions.Could be explain in briefly with functional diagram and their protocols used on it. sir i want to know that how much types of cctv security system are there. What kind of connection is used for public cctv connetions more than 10km apart from the dvr or monitoring room. Please suggest the proper cable used for CCTV or security camera used for a bunglow (residence). As per my observation, it is better to use cat5e UTP cable with Balun kit (UTP to BNC converter) on both end for cctv connectivity to be used in bunglow or residence. Through cat5e cable both video & power will be transmitted which will be converted from BNC to UTP (camera end) & UTP to BNC (DVR end). By this solution we can save the cost of extra cable ( as cat5e cable is transmitting both video & power) and no separate power outlet is required for cameras. What is SVFT stands for in cctv? 3 cameras are not giving pictures 1 camera is could this be down to fuses in 12volt supply ? Can anyone share with me what is the different between pictures per second (pps) and frames per second (fps). How to convert pps into fps? Thanks in advance. Sir, I have ZICOM DVR with 4 cameras with 1TB Hard Disc. Is there any facility to cut and remove certain portion of recorded video clippings from the hard disc.(eg. 08.00 to 08.30 hrs) on any particular day in particular camera. If so how to cut and remove this portion without disturbing the other recordings. I am using Zicom product. If you have the DVR set up for constant recording, timestamps on the video will make it obvious to see that the video has been edited. If you have the DVR set up for motion-activated recording, then there is no reliable way to tell if one segment of video has been removed from the hard drive. What is better way to delete some portion on constant recordin mode???? Too bad… Why do you need to edit???? hmmmm…..
very informative. will surely help me with my research paper. thanks. 282 queries in 0.364 seconds.